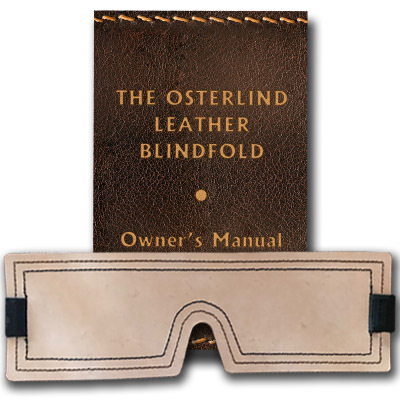 Osterlind Mysteries presents the newest addition to its HEIRLOOM line...and possibly the greatest pocket mental effect of all time. 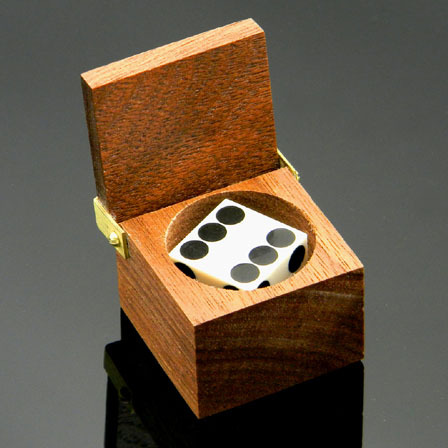 A spectator puts a regulation casino die into a small wooden box and notes the number on top. The lid is closed and he verifies there is NO WAY to see the number. 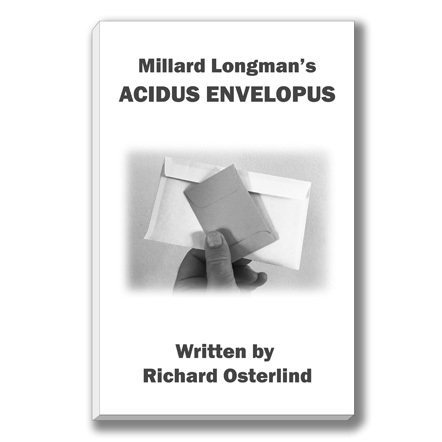 The performer takes the box and shakes it near his ear. He then names the number! This is repeated a second time with absolutely no clue as to the working. For the third time, the spectator puts a rubber band around the box and shakes the box himself! Still, the performer names the number! 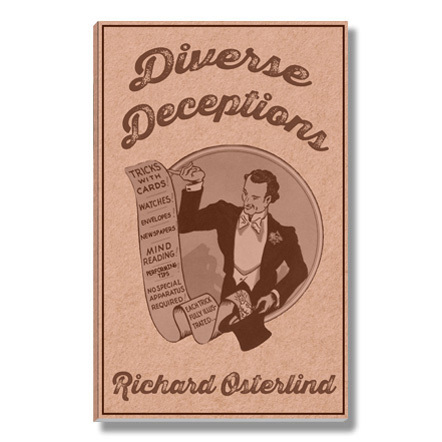 The method utilized is a secret taught to Richard Osterlind by none other than famed magic dealer Louis Tannen in 1973 and only purchasers of the Whispering Die will ever possess it. It has fooled every magician who has ever seen it. In short, it may very well be a perfect effect! And now for the best part — this apparatus has been completely re-designed by Richard Osterlind and then hand-crafted to his specifications by our master woodworker to perfection! The wood is a beautifully stained walnut which is then worked to a lustrous finish. The hinges are also completely hand-made of solid brushed brass and fastened to the box with brass screws. The die is an actual, brand new casino die hand-made to within a tolerance of 0.0005 of an inch. Modern casino dice are made of extruded cellulose acetate and white dice with black spots are very rare. Yet this is exactly what the average person expects to see in a die. This classy die looks entirely ordinary and we have gone through great lengths to get the proper apparatus. 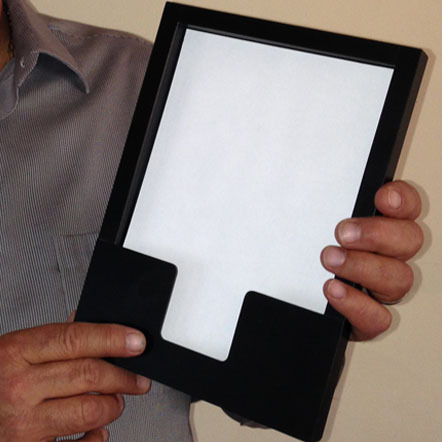 And get this - even though the box is gimmicked in a diabolical way, no one will ever find the secret. Like our wonderful Phantom Knife, you will look right at it and not discover it! It is foolproof! This whole outfit is a beautiful work of art. 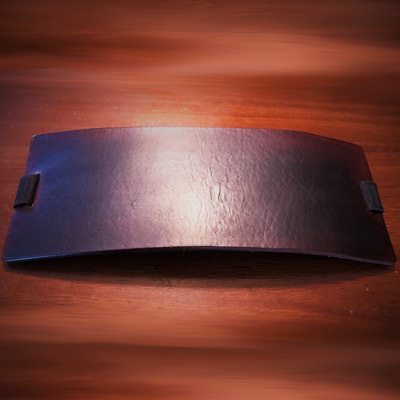 As part of our new HEIRLOOM product line (like our Devil Device and Classic Epic), it looks ever so special, but there is nothing to suggest to anyone that it is gimmicked in any way. Please note that the Whispering Die will not be mass marketed to the fraternity. 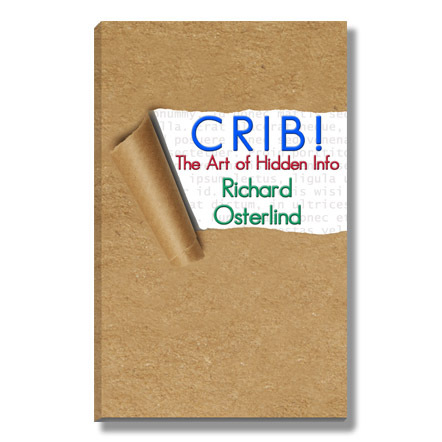 The only place it will be available is from Osterlind Mysteries and the number of units produced will be very limited. The Whispering Die comes beautifully packaged with an instructional DVD showing first the presentation and then the explanation with all of the performance subtleties covered in great detail. We can almost guarantee that this will be an effect you will always carry with you and perform everywhere!